The WCS Nutrition Program takes pride in its highly trained, dedicated staff whose mission is to courteously serve well-prepared, nutritious meals that enhance the health of students and staff. The School Nutrition Team is committed to the 10,900 children they serve every day. Their ultimate vision is to serve all 11,500 WCS students. The Team thanks everyone who supports the program. If you need any assistance, contact Director Cindy Bailey at (252) 399-7845. Wilson County School Nutrition Services and the Maintenance Department are now accepting bids on Fire Extinguisher Service for the 2019-2020 school year. Bid opening is scheduled for April 17, 2019. For more details, interested vendors should contact School Nutrition Director Cindy Bailey at 252-399-7845 or cindy.bailey@wilsonschoolsnc.net. Click here to access the most current menus. How do I apply for free and reduced meals for my child? 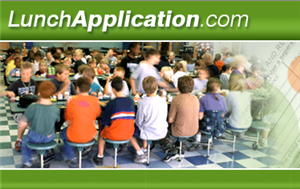 LunchApplication.com is an online meal application system where families can apply for free and reduced meals. Each application will be sent from a secure website directly to School Nutrition Services. Any parent or guardian can apply after Aug. 3. Paper applications are available at the School Nutrition Office (519 Ward Blvd. Building 8A behind the bus/maintenance warehouse). I have child(ren) in elementary and certain middle schools that will be receiving meals at no cost due to the CEP provision. I also have child(ren) at non-CEP schools. Do I still need to complete a meal application form? Yes. If a student has a sibling at a CEP school, the parent or guardian will have to complete a meal application form and include all individuals living in the household, including the CEP student(s) on the application. Please know that once a meal application is processed and approved, your CEP child will receive meals at no cost while your non-CEP child may qualify for meals at the free, reduced or denied status. Do I have to submit a free/reduced meal application each year? On the first school day, will my child’s meal status be the same as the previous school year? Yes. The previous school year meal status will be honored until October 10, 2018. If, on the morning of Oct 11 an application has not been completed and processed, your child’s meal status will automatically change to a paid status and he/she will be required to pay for his/her meals. You only need to complete one (1) application form for all students in your household. Yes. You may apply at any time during the school year if your household size goes up, income goes down, or if you start receiving Food and Nutrition Services (FNS, formerly Food Stamps) or start receiving TANF or other benefits. If you lose your job, your children may qualify for free or reduced priced meals. Under direct certification, school districts use information from state welfare or food stamp offices to certify children to receive free meals. To qualify, the children's families must receive food stamps, Temporary Assistance for Needy Families or assistance from the Food Distribution Program on Indian Reservations. The purpose of direct certification is designed primarily to improve National School Lunch Program access and administrative efficiency. How do I know if my child is directly certified? You will receive a letter from the School Nutrition Office stating your child has been directly certified for free meals. If you received a letter, you do not have to complete an application form. Yes. You may be asked to send written proof of your household income, size and other requested documents. On an annual basis, we are required by federal regulations to randomly pull a small percentage of the approved free and reduced applications and request documentation from the parents/ guardians. Yes. You or your child do not have to be a US citizen to qualify for free or reduced price meals. No. If the combat pay is received in addition to his/her basic pay because of his/her deployment and it wasn’t received before being deployed, combat pay is not counted as income. We ask that you first speak with the Meal Application Specialist at (252) 399-7849. If you are still not satisfied with the decision, you may then ask for a hearing by calling (252) 399-7741 or writing to: The Executive Director of Administrative Services, Wilson County Schools, PO Box 2048, Wilson, NC 27894. Each morning, the School Nutrition staff in the elementary schools provide and deliver food to the individual classrooms at no cost. Breakfast is offered to all elementary students, but it is the student's choice whether or not to participate. To ensure optimum temperature and freshness, the food items are transported in insulated cooler bags. Breakfast and lunch is served at no cost to all elementary-aged students because of a federal grant. All elementary students (Pre-K through Grade 5) receive breakfast and lunch meals at no cost because of a federal grant. We are proud that our school cafeterias consistently achieve high health inspection scores. To see a list, click School Cafeteria Health Scores. Did you know that health scores are based not only on the kitchen area, but also common areas that are close in proximity to the cafeteria like the bathrooms and dumpsters? School Nutrition Services would like to thank the custodial staff who provide assistance in these areas. The cafeterias are now being inspected by the newly adopted FDA 2009 Food Code. Managers no longer receive 2 bonus points for having a recognized food safety certification. Due to the Community Eligibility Provision (CEP), all students receive breakfast and lunch meals at "no cost". - Students in grades 6th -12th will not be allowed to charge for meals. - If a student does not have the funds to pay for a meal (breakfast or lunch) an alternate meal will be offered. - At breakfast, the alternate meal will consist of fresh fruit or fruit cup, milk and juice. - At lunch, the alternate meal will consist of cheese sandwich, milk, choice of fruit and/or vegetable. French fries will not be a vegetable choice for the alternate lunch. - Since the alternate meal is not considered reimbursable, the student will be charged a unit a la carte price. The School Nutrition Program follows USDA guidelines. The USDA provides reimbursement for student meal participation, USDA commodity foods received (about 20% of foods used) and revenue from supplemental sales. The USDA is an equal opportunity provider and employer. To see a list of Cafeteria Managers, click here.